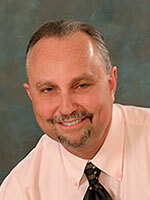 Dr Rozen graduated from The University of Florida, College of Dentistry where he received his D.M.D degree. He then went on to complete a hospital-based general practice dental residency at Mount Sinai Hospital in Miami Beach. Finally, he completed his orthodontic residency at the Albert Einstein Medical Center in Philadelphia. Dr. Rozen returned to South Florida in 1990 where he opened his orthodontic practice in Coral Springs. Dr. Rozen is past president of the South Florida Academy of Orthodontists, and is actively involved in the Florida Association of Orthodontics, Southern Association of Orthodontists and American Association of Orthodontists. He administers the State of Florida's Orthodontic Expanded Duties Dental Auxiliary examination on behalf of the Florida Association of Orthodontics. Growing up in Surfside, near Miami Beach, Dr. Rozen graduated from Miami Beach Senior High. When not at work, Dr. Rozen enjoys spending time with his wife, Lauri, and his children Daniel and Brittany. Together they enjoy fishing, boating, and snow skiing.